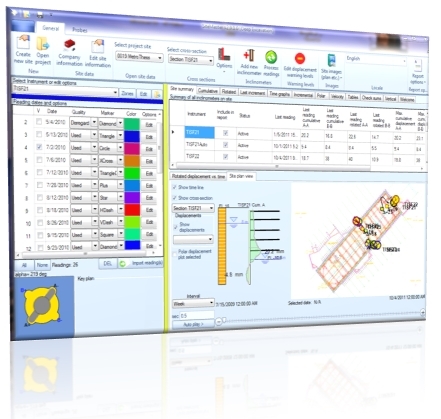 Geokon adopts SiteMaster as the professional standard inclinometer software for their inclinometers! SiteMaster supports inclinometer data from Geokon. Geokon inclinometers are analog and as such displacement results have to be calculated by using the probe constant (as provided by the manufacturer). SiteMaster also supports the Spiral correction files by Geokon. This way spiral data can be automatically imported and corrections are applied with little effort.